The Micro-Teach - The Way it Should be Done. I’m guessing most of you arriving at this article will have heard of the PTLLS Award before. Hopefully by now, most of you will also have discovered that the PTLLS Award was replaced by the Level 3 Award in Education and Training back in 2014. Whilst the qualification title is completely different, not so much changed with the qualification itself. There is still just one competency based part of this course, that is the micro-teach. A significant amount of providers promote the fact that learners who complete the Award in Education and Training with them can deliver their micro-teach via Skype. Whilst it may sound appealing to complete the entire course online, this article will outline exactly why you should only consider these courses as an absolute last resort. If you are familiar with the Level 3 AET, then you will already be aware of what is involved with the micro-teach unit (Understanding and Using Inclusive Teaching and Learning Approaches in Education and Training). But for all of you that aren’t familiar with the level 3 Education and Training Award, this unit requires you to deliver a 15 minute micro-teach on a subject of your choice. As this is the only competency based part of the qualification, we believe that it is extremely important for you, the student teacher to get the opportunity to deliver a lesson in front of a small group of people and interact directly with your learners. When you think that as a result of gaining this qualification, you could secure a job as a tutor in a further education college, it should be a requirement for the only competency based unit to be observed in person as oppose to through Skype. However, as it doesn’t state that in the specification, companies can get away with delivering the entire qualification online. But if you are going to enrol onto a training course, then you want to gain the relevant skills and knowledge on completion of that course. We believe that it would be extremely difficult for you, as the learner to gain the necessary teaching skills from delivering a 15 minute lesson to a webcam. That is why, with Brooks and Kirk, you would work through all of the knowledge based content on our online learning system and then just attend one day at your closest centre. On the day that you attend, you will deliver your micro-teach to a small group (generally 4-6 people) and give feedback to your classmates on their micro-teaches. You may be thinking, ‘Oh well, it is only 15 minutes. How much can you really learn in 15 minutes anyway?‘ But the answer is, an unbelievable amount! Dan has observed hundreds and hundreds of nervous people deliver their micro-teaches and whilst they feel like they are going to hate the experience, a good 9 out of 10 people feel incredible when they come to the end of their lesson. In fact, we aren’t lying when we say that the majority of people end up enjoying it so much, that they want to do it all over again! You can hear that for yourself from on our Learner Feedback Videos. We have spoken to learners who have done their micro-teaches online and they have told us that they didn’t get that same kind of feeling. 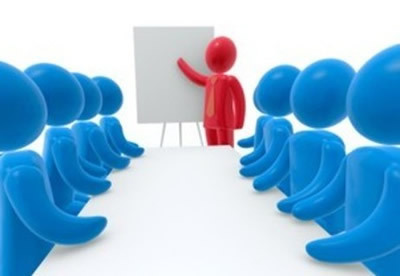 So, if you would like to do an Education and Training course that is going to help you not only gain the necessary teaching/training skills that you need, but also boost your confidence, then we can definitely help you. ← What should animals really be called? I always enjoy seeing my learners deliver their micro teach sessions, it’s really good to see them put theory into practice. Over the years, I’ve learnt a great deal about a lot of different topics, for example: folding napkins; icing cup cakes; washing hands effectively; using camera shutters; and creating a hanging basket. Different awarding organisations have different requirements regarding the delivery time, some say 15 minutes, others more. However, the minimum is 15 minutes delivery plus 45 minutes watching other micro teach sessions. Some awarding organisations allow observation to be via Skype, some don’t. The Award in Education and Training is a great short course to help anyone realise what’s involved when teaching, training and assessing. Progression can then be to another course.